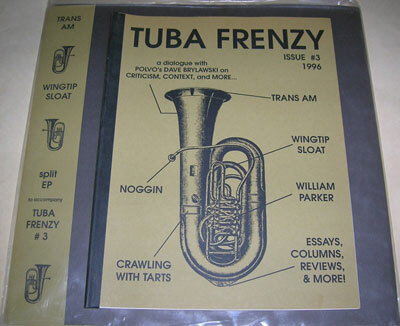 Came with issue 3 from the Tuba Frenzy fanzine. A lengthy dialogue with Polvo guitarist Dave Brylawski. Installment #3 of Lo-Tech Not Lo-Fi : the actual recording process.